A business without any connection to the audience is akin to a rudderless ship in an ocean. In order to ensure the productivity and profitability of your business, you need to find and connect to the right audience. Conceptualizing the task of identifying and reaching out to the target audience is simple enough. But in order to turn your marketing concepts into reality and to drive home the results, you must equip yourself with the right tools. Our B2B data app is one such application that helps you to deal with the requirement of finding and connecting to the target audience. Let us take a look at how you can discover and connect to the right audience with our B2B data app. In order to get an idea about your ideal prospects, you can analyze your current customers. Talking to them will help you to understand the kind of people you need to target for your future marketing campaigns. To define your future prospects in a better manner, you can take the help of analytics-based tools that will enable you to recognize trends existing within your current audience and target audience. With our B2B contact data services, you can access full profiles of target prospects with contact intelligence. 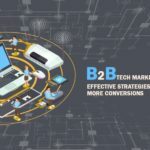 Leveraging the power of Big Data, predictive analysis, human intelligence, and machine learning, our B2B contact data services can provide you with a comprehensive list of relevant data. By analyzing the data you can identify the audience segment that you aren’t connecting with successfully and take appropriate measures towards this end. Most business organizations have a fair idea about their competitors. You can use your competition to advantage when seeking ways to find and connect to the right audience. By analyzing and evaluating the marketing trends and behavior of your competitors, you can identify the gap in your marketing strategy. You need to evaluate every detail about your competitors – right from learning about their products and services to what marketing strategies they are adopting while building their target base. With in-depth research about your competition, you will be able to learn what they are doing differently in order to discover and reach out to their audience. It goes without saying that once you have that knowledge at your disposal, you will have to implement the strategy in a better way to make your connection to the audience. A basic rule of marketing is building awareness about your product or service. Once you achieve familiarity for your brand or product/service, you can leverage the brand value or awareness to connect to the audience and develop prospects. Our B2B company data services enable you to retrieve complete company profiles and related research data through a user-friendly cloud application. Using our up to date company email list you can engage with your potential audience for the purpose of creating awareness as well as developing them as prospects. You can also use the customized business listings obtained through our B2B company data services to implement other methods of reaching out to the audience and making a connection with them. Armed with these strategies, you can look forward to finding and connecting with the right audience.